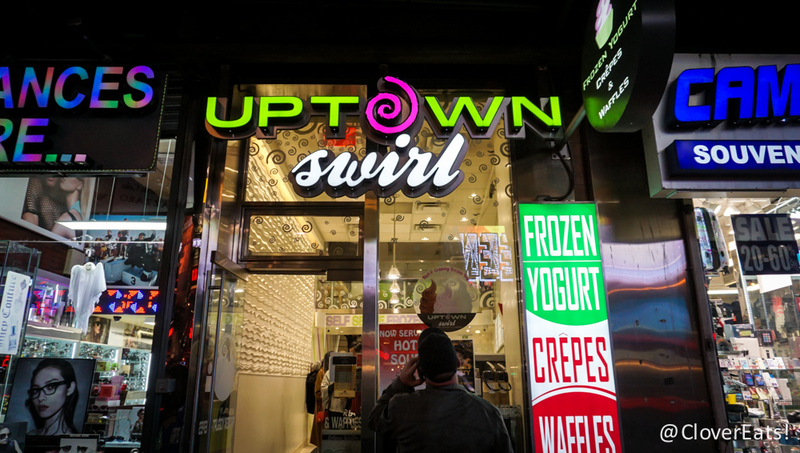 CloverSnacks: Uptown Swirl in NYC | Clover Eats! 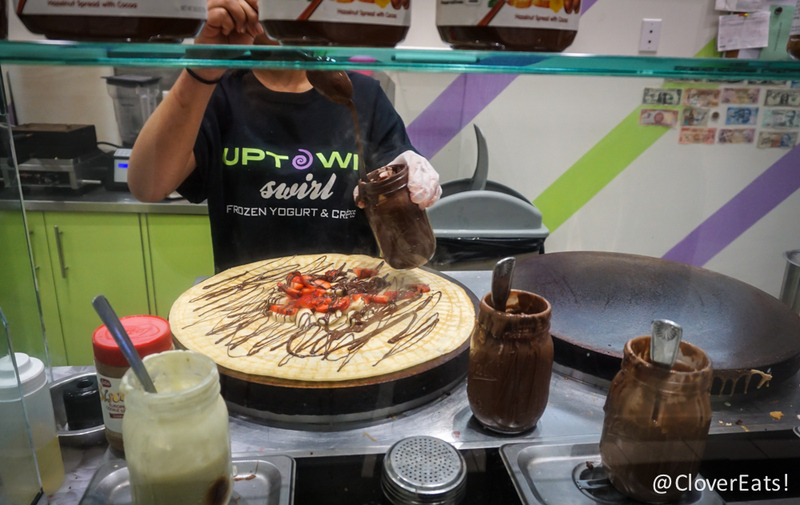 We stopped by this froyo/crepe joint after dinner. 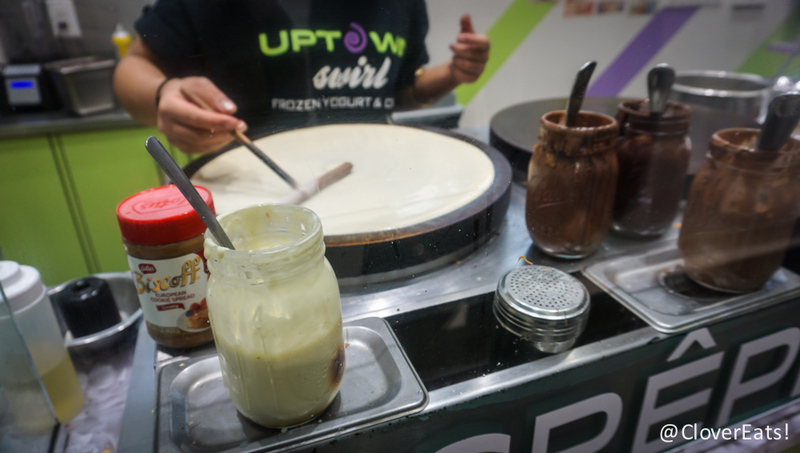 They’re right in Times Square and open until 1AM, which is great for a latenight snack. 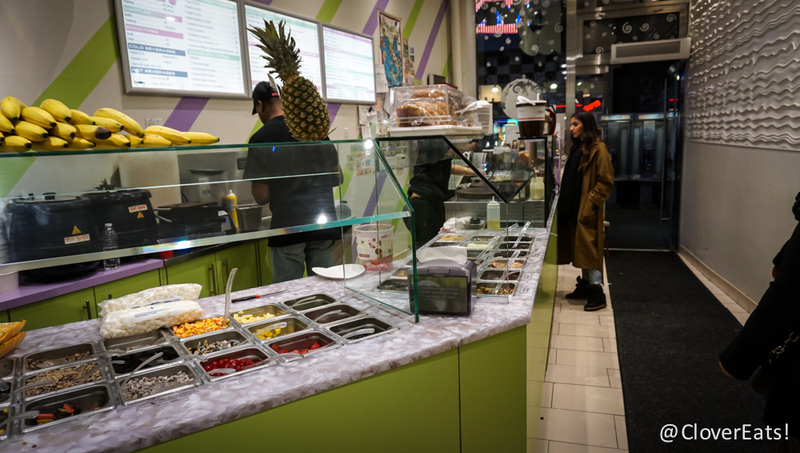 There were only two people working, and I was really impressed by how efficient they were; we paused a bit during ordering, and the cashier immediately started stocking things until we were ready. Even the girl cooking crepes did everything really quickly, from pouring to drizzling to folding. It was really intense. 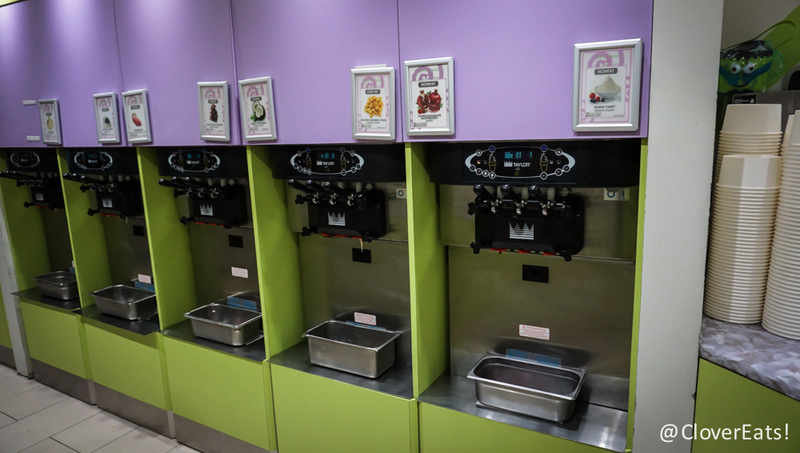 The froyo has some interesting flavors including cake batter and Euro tart, which was really delicious, as lately I’ve found lots of froyo places to be too sweet. There’s an upstairs to sit down in as well, although we took our crepe to go. The fillings were generous; we got strawberry, banana, Biscoff, and dark chocolate. 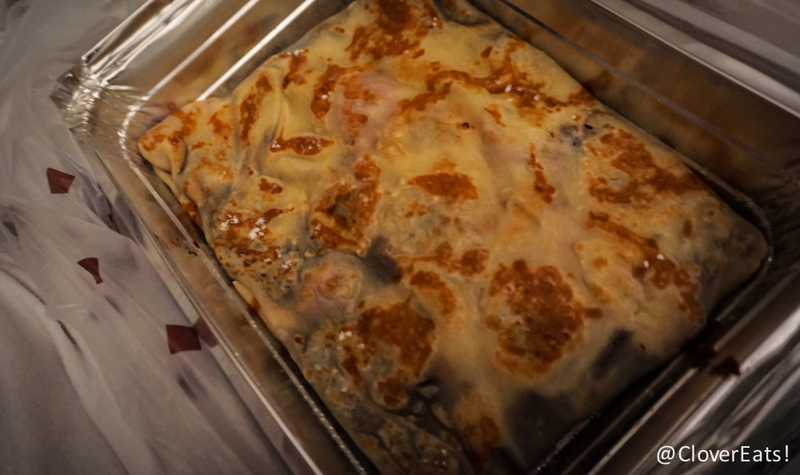 I’m sure all crepes are inherently delicious, but this one tasted even better than the usual crepe, maybe because it tasted of New York efficiency.